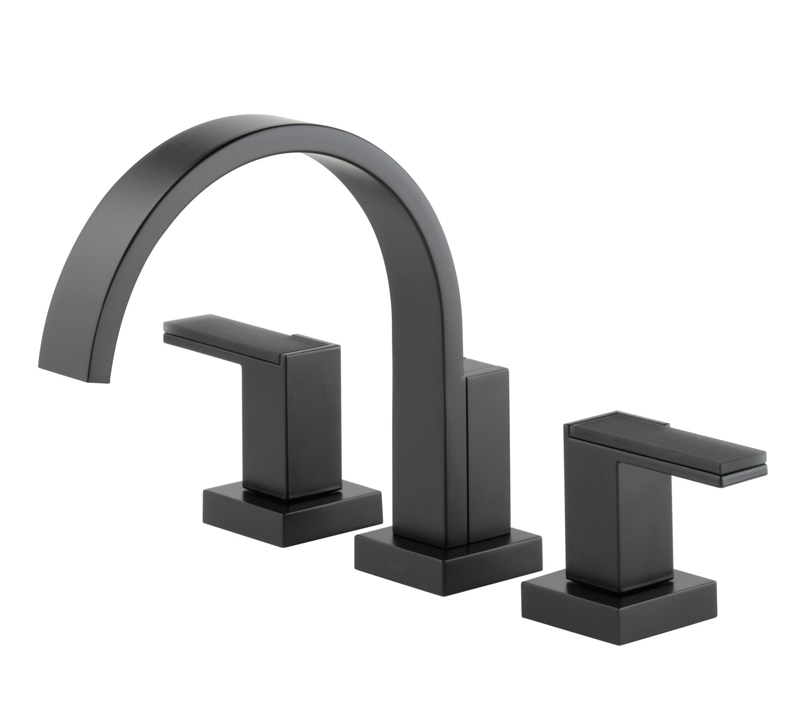 Forget chrome and brass, black fixtures are sure to make a splash in your bath. 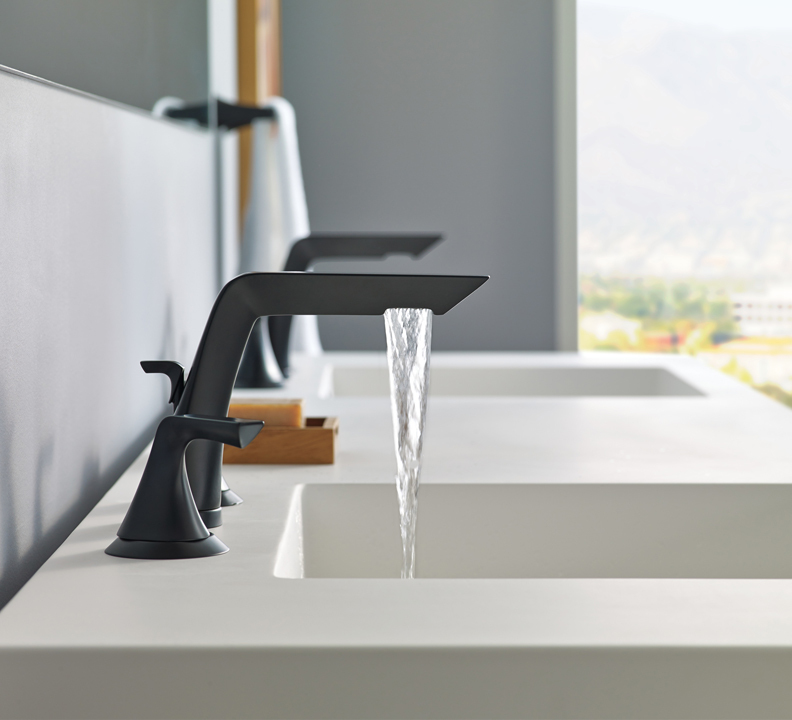 one: Sotria widespread in matte black, by Brizo, available at Premier Plumbing, Crescent Plumbing, Ferguson, Henry Kitchen & Bath, Callier & Thompson and Plumbing Haus. 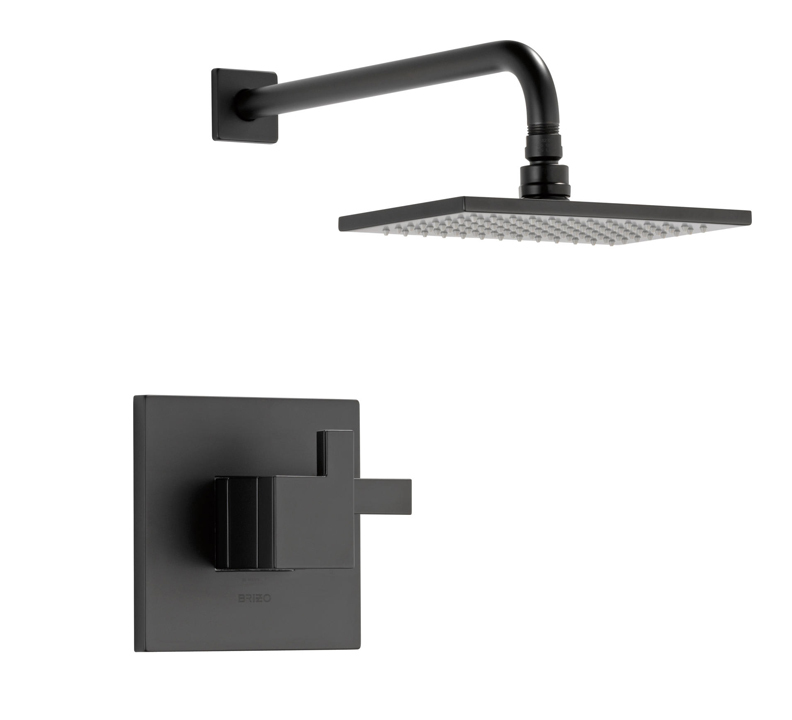 two: Siderna wall-mount in matte black, by Brizo, available at Premier Plumbing, Crescent Plumbing, Ferguson, Henry Kitchen & Bath and Plumbing Haus. three: Tara single-hole lavatory mixer, by Dornbracht, available at Crescent Plumbing, Ferguson and Alspaugh Kitchen & Bath. 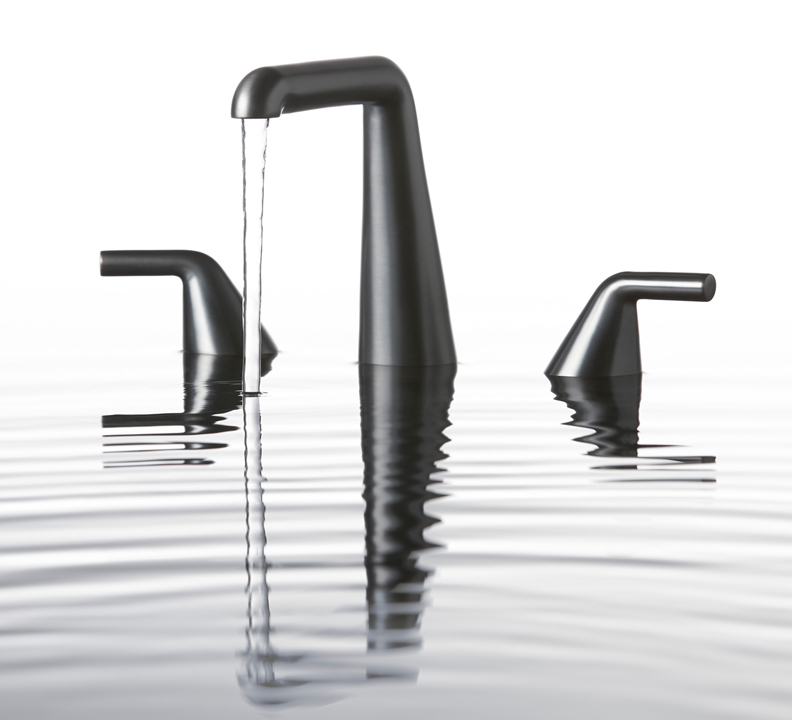 four: Taper basin faucet, by BIG for Kallista, available at Kohler Signature Store, Crescent Plumbing and Ferguson. 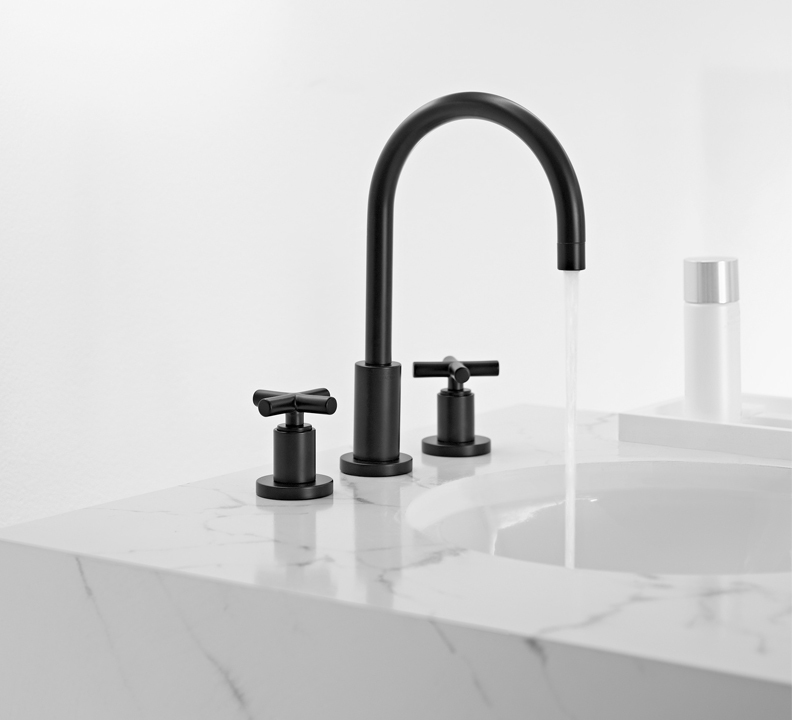 five: Siderna tempassure thermostatic valve in matte black, by Brizo, available at Premier Plumbing, Crescent Plumbing, Ferguson, Henry Kitchen & Bath, Callier & Thompson and Plumbing Haus. 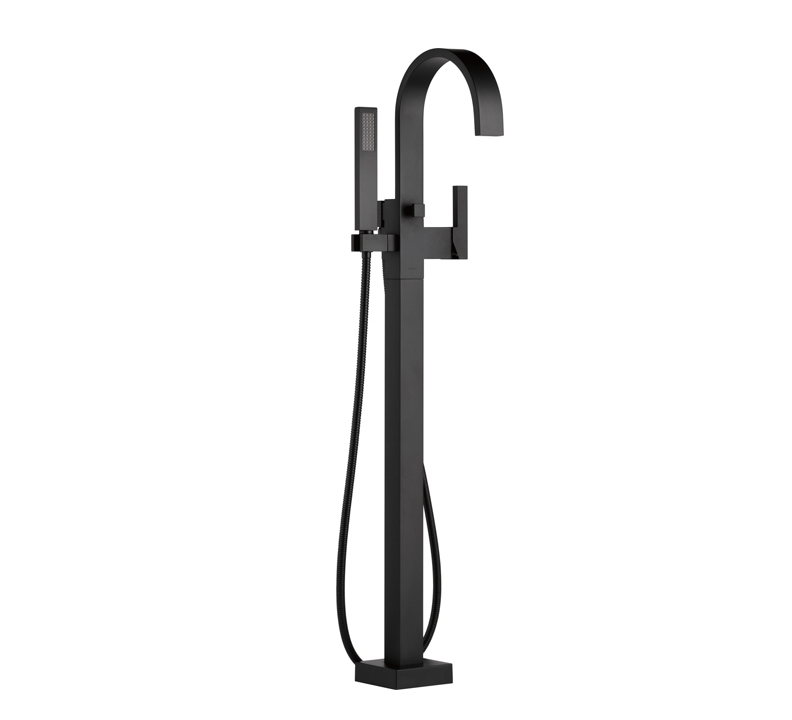 six: Siderna freestanding tub filler in matte black, by Brizo, available at Premier Plumbing, Crescent Plumbing, Ferguson, Henry Kitchen & Bath, Callier & Thompson and Plumbing Haus. seven: Siderna Roman tub in matte black, by Brizo, available at Premier Plumbing, Crescent Plumbing, Ferguson, Henry Kitchen & Bath, Callier & Thompson and Plumbing Haus. 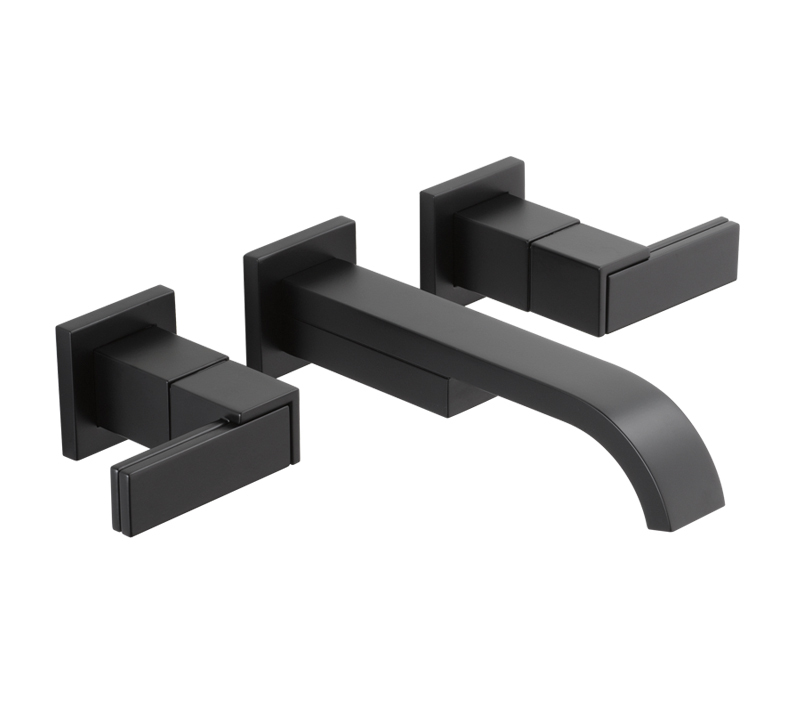 two: Siderna wall-mount in matte black, by Brizo, available at Premier Plumbing, Crescent Plumbing, Ferguson, Henry Kitchen & Bath, Callier & Thompson and Plumbing Haus.